NEW YORK (Scrap Register): United States silver scrap prices advanced on Thursday, while silver futures prices at New York Mercantile Exchange turned lower along with gold. 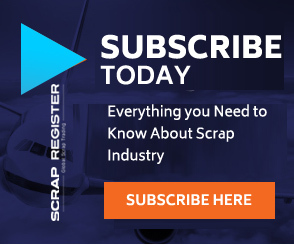 The major silver scrap commodities on the Scrap Register Price Index traded higher on Thursday. The hallmarked silver scrap prices up by 0.53% to $14.028 an ounce and non-hallmarked silver scrap prices declined to $12.452 an ounce. The most active December silver contract on the COMEX division of the New York Mercantile Exchange down by 15.5 cents to end at $16.772 an ounce on Thursday. Among other metals, copper futures returned to winning ways after back-to-back declines. The industrial metal had gained in nearly every session over a three-week run, accelerating those gains amid pledges for increased infrastructure spending in a Trump administration.